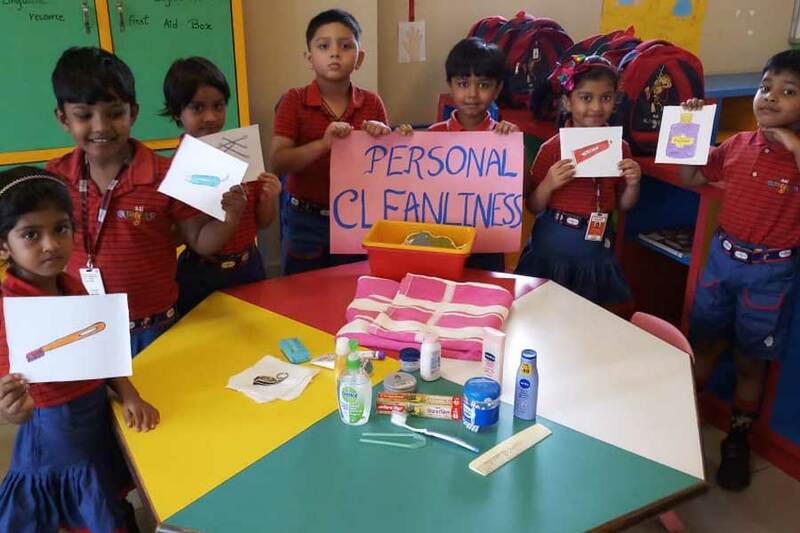 The habit of cleanliness and hygiene is something which starts from home and get reinforced in school. For maintaining a healthy life, keeping ourselves clean should be practised till it becomes a habit. It not only keeps us away from diseases but also keeps us physically and mentally fit as well as keeps our spirits alive and active. Cleanliness and hygiene start from taking small steps. Keeping that in mind, the children of KG II were introduced to the ways of cleanliness and maintaining personal hygiene. 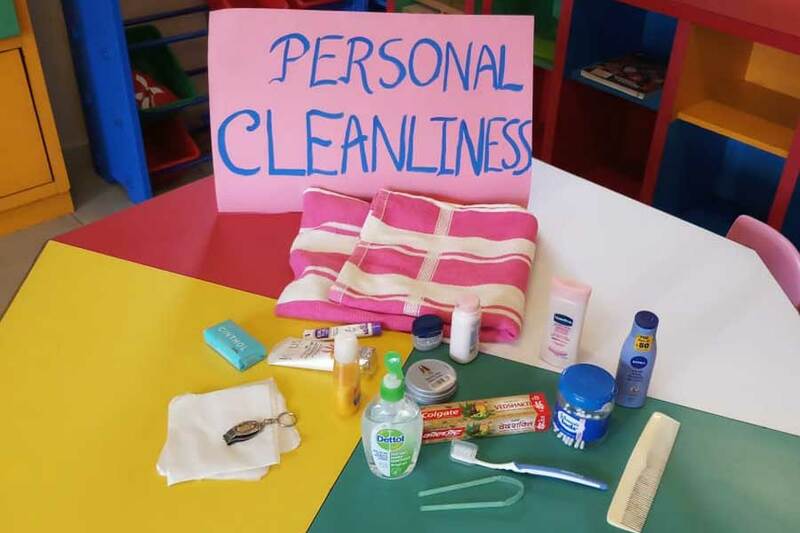 The students were given some real objects like tooth brush, tongue cleaner, shampoo, towel, soap, hand sanitizer, nail cutter etc and were asked to enact with it on how to maintain personal hygiene. The children were also explained on the importance of using such products. A group activity was also conducted where children were provided with some objects and were asked when and where they should use them. 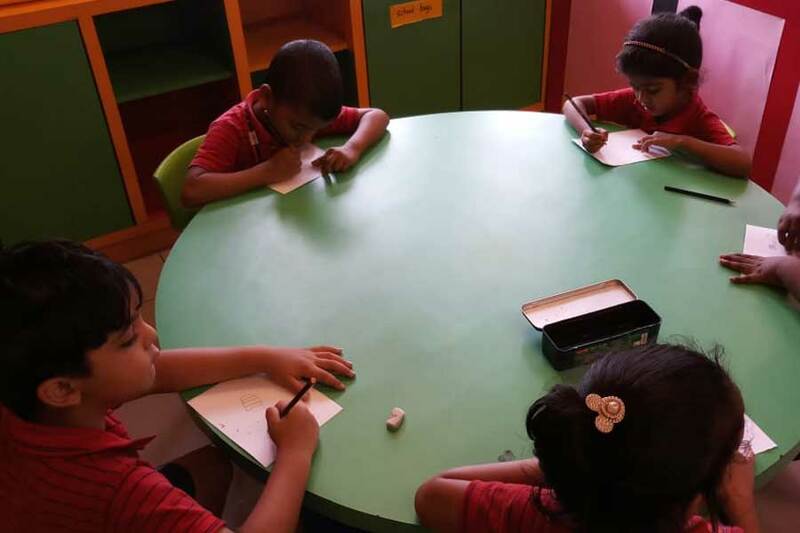 Then the children were asked to draw any object which helps us to maintain cleanliness. This activity enhanced their linguistic, visual, naturalistic and inters personal skills.